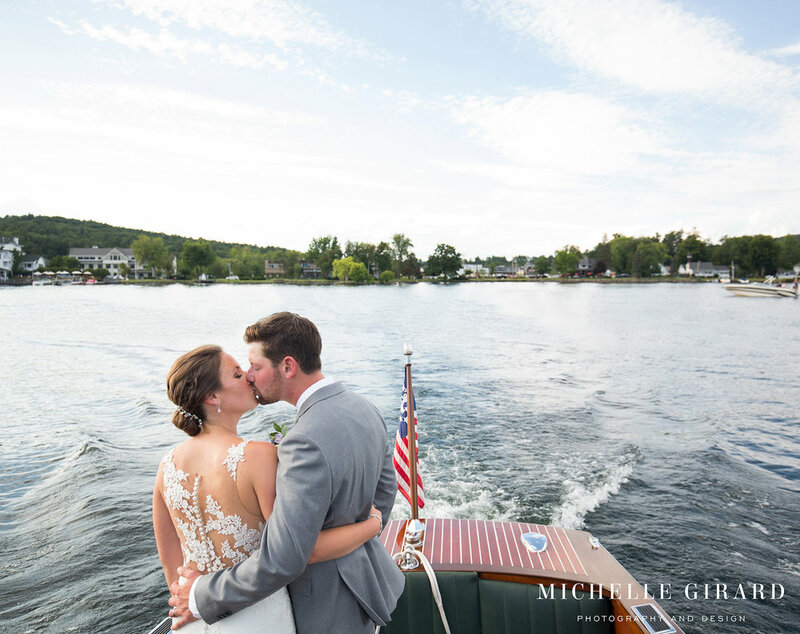 Kay-Lee had always dreamed of getting married at her favorite place on Earth, her parent's home on Lake Winnipesaukee. 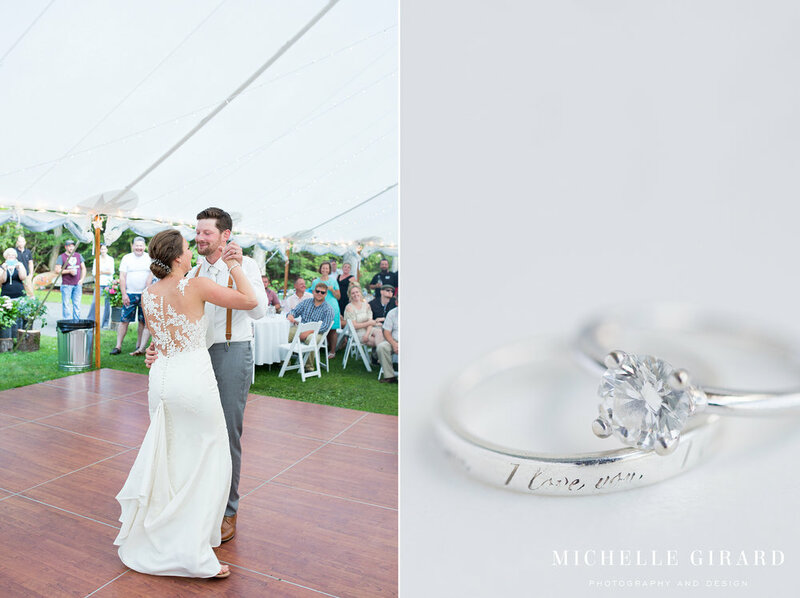 And after Jesse, her longtime partner, proposed to her earlier this year they jumped right into wedding planning to make that dream come true. They were on a deadline though, so they planned their wedding in less than three months. And you would never realize with how quickly it came together with how gorgeous every single part of it was! 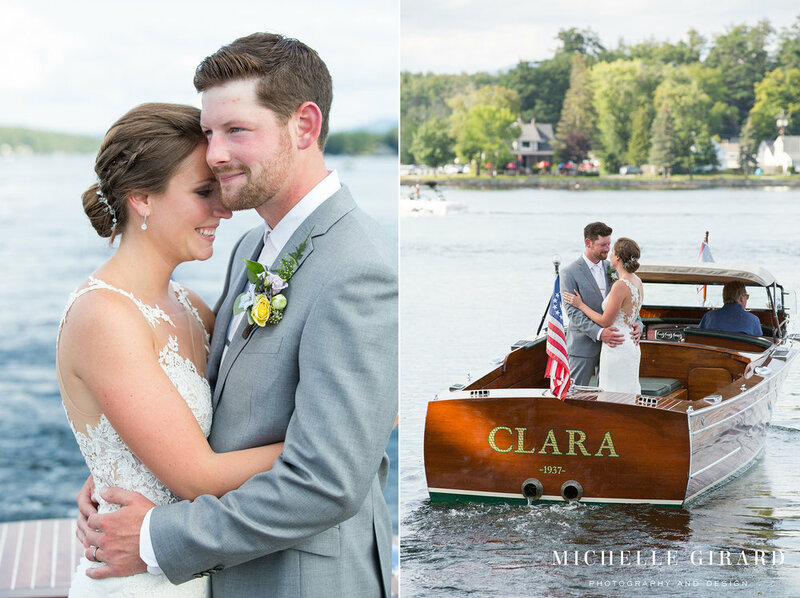 Showing up to their wedding that day, it was easy to fall in love with the place and I'm so glad that Kay-Lee and Jesse's dream wedding came together the way it did. 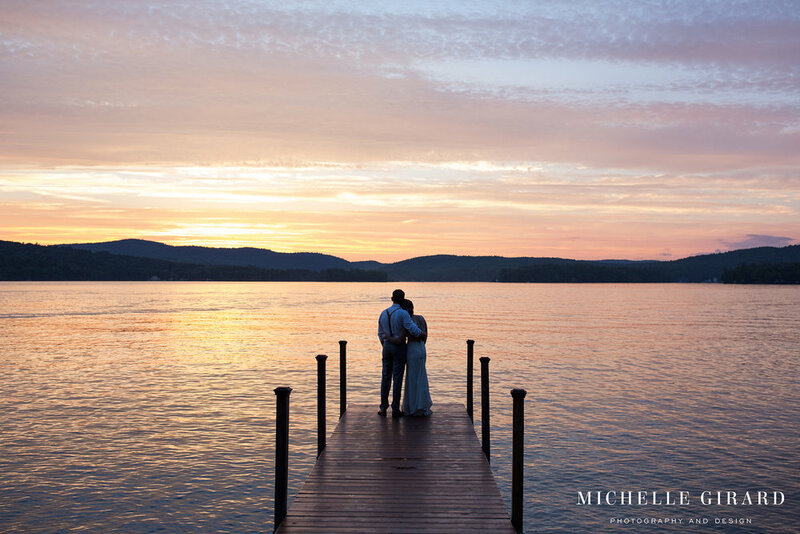 It was the background to so many breathtaking moments, like the sunset from the docks while we were taking photos or the two of them walking hand in hand through a line of sparklers while their friends and family cheered or during their ceremony as everyone smiled and laughed together when Jesse's ring needed a little extra push to fit. It was a day filled with so much love, happy tears (I even got choked up! ), and an almost tangible sense of celebration!